Having a nightmare during the nightly sleep is the least expected thing of most people; yet, you all have experienced that scary feeling. According to German dream analysts, like other ordinary dreams, nightmares reflect humans’ emotions, sentiment, and current state; additionally, they bring on the anxiety, fear, as well as panic of an individual. The unreal scenes allow you to take a glimpse on your thoughts and inmist feelings so that you can easily realize your own mental condition. Nightmares may be a coincident combination of the unconscious areas in a person’s brain, but people believe that they could have deep meanings. In ‘Nightmare Analysis‘, let’s learn more about this familiar phenomenon. What is Nightmare? It’s an extremely distressing dream causing a strong emotional response from the mind; typically fear but also despair and great sadness. It can happen to anyone at any given time of their lives – mostly during the rapid eye movement (REM) sleep. Nightmare themes can vary widely from person to person and from time to time for any person – the most common theme is being chased. What are Major Causes Attributed to Nightmares? Why do you have nightmares? There are a number of possibilities…they can occur from stress, alcohol, spicy foods, drugs, and bad diets. The nightmares of early childhood seem to reflect the struggle to deal with normal childhood fears and problems. Many people, after they suffered a traumatic event (a severe accident, the loss of a loved one, etc. ), also experience nightmares. Sometimes, the nightmare may occur over and over – it’s caused by repressed feelings in one’s waking life, such as financial concerns, career, relationships, etc. Only when your ongoing issue is addressed in reality, the recurring nightmare will stop. Sleep deprivation is one of the main causes of nightmares. Working, feeling stressed or depressed are the reasons leading to your lack of sleep. If you’re suffering from this issue, we recommend you to consult your doctor. Also, ‘Sleep Apnea’ and ‘Restless Leg Syndrome’ can contribute to nightmares. Drugs are very dangerous for humans in many ways. If you habitually take drugs, you will be more prone to night terrors. Drug addicts will experience the nightmare until the addiction diminishes. Psychological: people who suffer from depression are likely to experience nightmares. Night snacks: you may not believe but what you ate before going to bed would cause a nightmare. 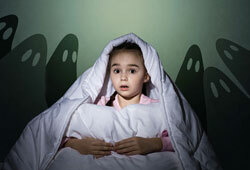 When you eat food in high protein or sugar, the chance to experience night terrors is heightened. Why? Your body will burn energy at a fast rate which can increase metabolism and signal the brain to be more active. Those foods are the reason making your dreams more vivid. How to stop nightmare? By understanding the underlining factors that cause your nightmares, you can somewhat get the picture of your recent state. To avoid being interrupted during the sleep, you’re advised to start thinking about the nightmare as well as examine your lifestyle. Has there been a build up of stress lately? Analyzing what your nightmares mean will help figuring out the situations in life that you need to tackle. Once things have been solved, nightmares will cease right away. Don’t think that nightmares indicate something negative. In fact, it provides hints assisting you in dealing with issues in present. Feel interested in “Nightmare Analysis ?” Send us your opinions so that we all can discuss together! 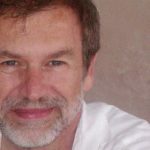 Previous article: Are Dream Interpretations Real?